These bullet probes are used for tracking bullet path and angle of entry in gunshot wounds. Probes have soft and smoothly finished surface to avoid injury and facilitate smooth movement. It is available in set of three viz 22 caliber, 38 caliber and 45 caliber. 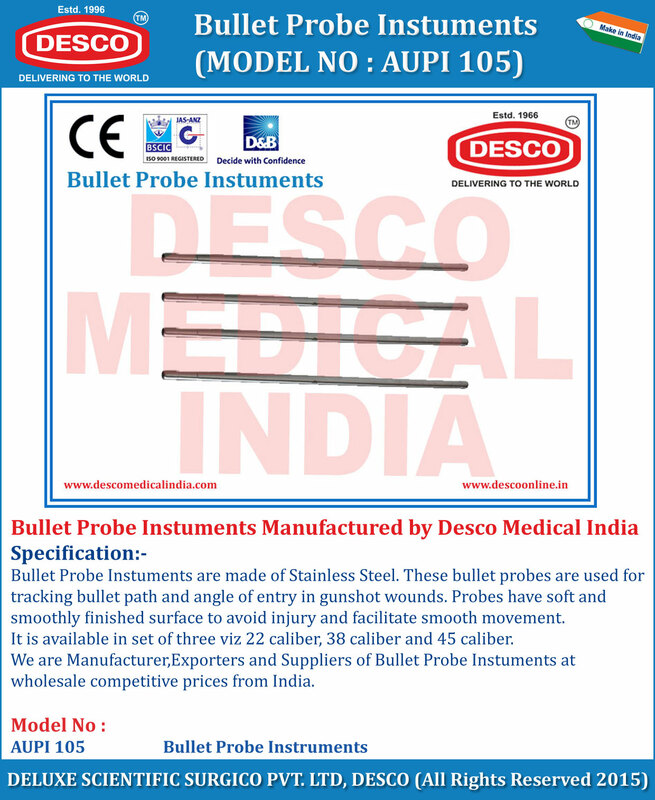 We are Manufacturer,Exporters and Suppliers of Bullet Probe Instuments at wholesale competitive prices from India.